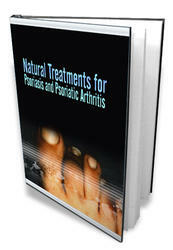 The diagnosis is that the patient has new-onset mild to moderate plaque psoriasis. What are the drug-related problems in this patient? 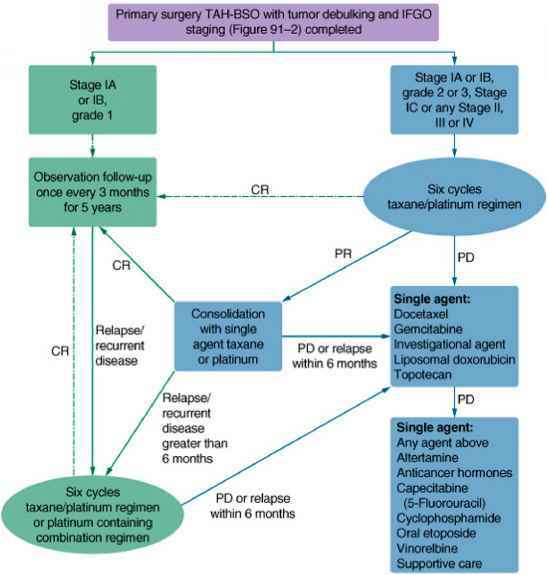 What nonpharmacologic alternatives are appropriate for this patient? 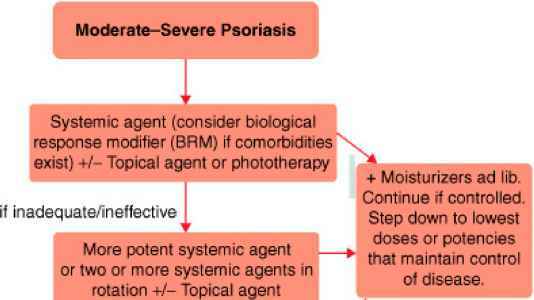 What pharmacologic treatments would be appropriate as initial therapy for this patient? FIGURE 64-1. 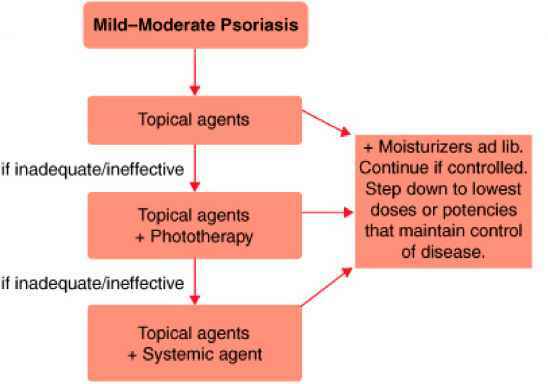 Treatment algorithm for mild to moderate psoriasis.